Specialising in roof repair, restorations, roof plumbing, guttering & more. Fully Insured. L245022c. FREE Quote! 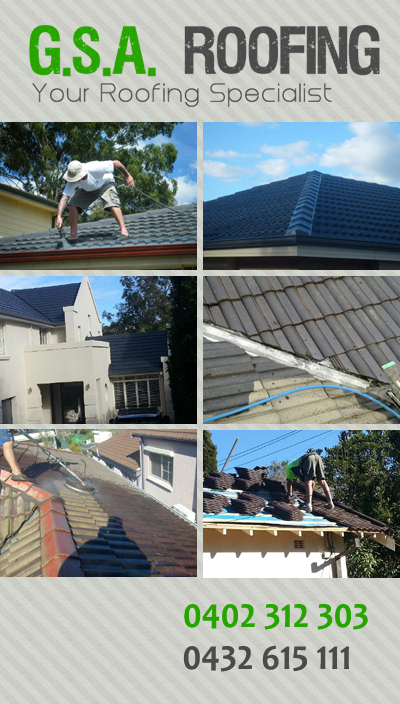 G.S.A Roofing is family owned and operated, based in Penrith with over 10 years experience in all aspects of roof tiling, roof plumbing and restorations. We offer excellent communication, honesty and we are reliable. G.S.A Roofing is also female and pensioner friendly. As we are family operated we do not rely on the work of sub contractors; we offer a high professional level of work at a very competitive price, using only the best quality products in the industry. We are always more than happy to provide you with an obligation free quote. The highest quality roofing. Competitive Prices. Top Quality Materials. Guarantee the best job possible. 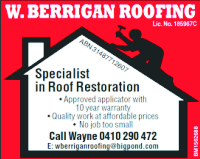 Local & family owned roofing business. Over 20 years experience. We specialise in all aspects of roofing including new roofs, repairs, maintenance, restorations, guttering, & more. All work quality guaranteed. FREE Quote. 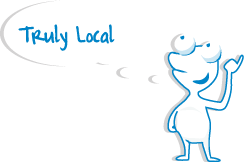 Locally owned & operated business offering Roof repairs, roof restoration, roof cleaning, and maintenance. We also do roof leaks, roof re-pointing, roof re-ridging, re-roofing, roof extensions, roof painting, glazing & high pressure. All work quality guaranteed. No job too small or big. Fully insured & licensed. L250020c FREE Quote!